Leadership is one of the most significant components of an organization that refers to the abilities of a leader to provide direction, implement plans and inspiring its people (Northouse, 2018). The major objective of this paper is to analyze the chosen articles critically. First article is named as “What works for you may not work for (Gen) Me: Limitations of present leadership theories for the new generation” that states that there are some differences between the leadership styles of GenMe and millennials and employee benefits in prior generations. Moreover, second article is named as “Mindfulness and job performance: a study of Australian leaders” which describes that mindfulness is related to becoming aware about the present reality and living in a moment and while connected to well-being. In this article, it has been tested by taking the sample of special leaders. Critical analysis of both the articles is conducted by defining the position of authors. Furthermore, the opinions of both authors are compared and contrasted. At the end, learning experience is identified from each article. By analyzing the first article given by Anderson et al. (2017), it can be stated that authors write about how suitable it will be to utilize the standard leadership models which have been adopted in past decades also for millennial generation. People who were born between the year 1982 and 1999 belong to the millennial generation that will the most significant and strong work force in the coming future. By giving the opinions of many authors, Anderson et al. researched that there are some major differences between the former and millennial generations. The core reasons are changing attitudes and personalities towards work and the values as compared to past generations of employees (Anderson, et al, 2017). Millennials incline to become selfless and look for the healthy work-life balance, whereby work loses its significance in comparison to other generations. Moreover, the authors argued that this generation of employees is seeking for self-fulfillment and more individualism. However, the millenials are in pursuit of better payment and external motivation such as fast promotions. Additionally, response is significant for these people. Thus, the authors positioned that all the above changes in personal differences, working attitudes and values have to be handled in leadership. To under this context, different leadership theories and their issues with the changes in generations have been discussed by the authors. The core of transformational leadership style is the inspiration of people by establishing the organizational and group objectives so that they can attain a good result. Nowadays, employees are very much interested in personal goals and they are less interested in common goals. Transformational leaders may have personal objectives in a group for effective motivation. Then the authors stated about information processing as another leadership theory. It is developed by how the follower perceives a particular leader and by the understanding of organizational environment. It is not well-matched with individualism of millennial generations who have many thoughts about leaders (Chou, 2012). Moreover, the authors stated that authentic leadership is the style that asks both leader and follower to trust each other. It is based on enhanced support, engagement and commitment. The extent of authenticity may change but most significant is that people actively participate in the process of leadership. Authentic leaders motivate their followers and make them follow their values and beliefs. As being separable is vital to millennial generation and they are not probably to get along with the authentic leaders. Moreover, another type of leadership is ethical leadership that states that this type of leadership want that their followers behave morally and ethically. In this, this assumption can be evidenced that this relationship is made on the basis of trust but compared to transformational leadership, it is significant to ethical leaders to impact their employees with unselfish causes (Salahuddin, 2010). The author made the argument that ethical rewards are not that much important to millennials as extrinsic motivation. They are not interested in spending time to get rewarded, it seems time consuming and ineffective to them. The article evidences some recommendations which are given to adjust above theories to current leadership with Millennials being engaged. Thus, the author concluded that employees from younger generations are different from the people in old generations. They differ from prior generations in context of importance of work and attitude towards work. The major objective of second article that is authored by King and Harr (2017) is to find out the relationship between the mindfulness with the leadership organizational transformation and self-mastery. In this article, the mindfulness is related to becoming aware of current reality and living in the moment and when connected to wellness. This fact is examined by taking the samples of some Australian special leaders. In the survey, the data was gathered from 120 top managers of international engineering firm that is based in Australia. This organization uses a project-based system with cross-functional teams. The major reason behind selecting top managers is that company has recognized this level for a leadership training program. Despite attention, the connections between job performance and mindfulness are scarce, with the leaders’ performance. The present article examines the self-stated mindfulness of 84 leaders in Australia towards different forms of leadership positing as ranked by their reporting manager. By using the structural equation technique, the authors found that mindfulness has positive relation with the leadership organizational transformation and self-mastery (King & Haar, 2017). From the assumptions, it can be evidenced that the best fit theory for analyzing this data was full mediation technique. Moreover, the moderating impacts of tenure duration are tested and it was found that mindfulness is advantageous for self-mastery at lower tenure duration. In this article, the theoretical arguments can be understood by looking at some specific points like mindfulness affects the performance by improving some other leadership skills like emotional intelligence, self-leadership, self-regulation and self-reflection that impact the performance results. Moreover, the authors assumed that mindfulness positively influences the performance directly by affecting some general leadership abilities, for instance decision making data, interpersonal relationships and improving the distribution of information. The authors identified that this effect is possible because of aspects of mindfulness which provide a wide awareness about the current data. By analyzing the data collected in the survey and theories, it is identified that mindfulness is estimated to affect the performance of leadership as it facilitates the self-regulatory behavior and eventually management of leadership behaviors (King & Haar, 2017). In this article, the authors concluded that tenure has a moderating role on the mindfulness towards dimensions and performance. Moreover, it can be stated that the performance management of leadership is improved by having the leaders who are more present and mindful in the workplace. From the above analysis, it is identified that both of the articles are based on the performance of leadership by the leaders at different levels like millennial generation and senior managers. The articles are very meaningful for leaders, followers, organization and society as well. 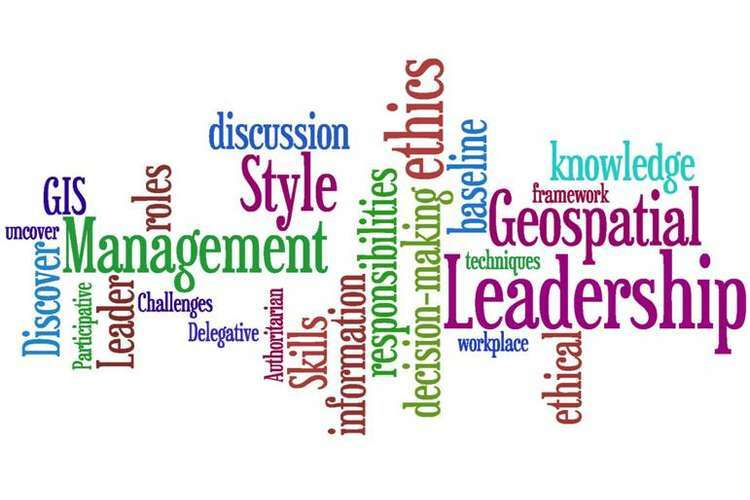 In the first article, the leadership practices and styles are differentiated on the basis of generation gap while another article determines the performance of leadership based on the tenure and mind state of the leaders and followers. In their article, Anderson et al. stated that there should be changes in the leadership theories and styles with the growing changes in today’s workforce. In contrast to this, King and Harr (2017) analyzed that there should be a positive relationship between mindfulness and leadership as this relationship can help the leaders and followers in the organization transformation and self-mastery. These authors stated that mindfulness has positive impact on the performance by improving the psychological well-ness and enhancing the flexibility of leaders and their followers and it ultimately directs them to the effective and efficient performance. As compared to this, the first article identified that organizational people from millennial generation hold diverse expectations related to significance of work to their lives and it brings different attitudes and personalities to the both leaders and their followers. As there is a continuous growth in the number of millennials every year, so separation between them and older colleagues becomes more significant, putting challenges for the organization and its leaders. Thus, this conclusion can be drawn for leadership practice that leadership should be changed in an organization with the generation gap and mindfulness (Meichenbaum, 2017). Trait theory of leadership is the most important theories that can be related to the first article. This theory states that each and every leader has different attitudes, personalities and traits which assist them to perform their roles and responsibilities in an organization (Zaccaro, 2007). The theory defines that there are some behavioral characteristics which are common in both millennial and prior generation employees. In context of second article, cognitive resource theory is identified that states experience and mindfulness are some cognitive resources which are the major factors in the success of a leader (Leahy, 2015). These resources are very much useful in predicting the performance of leaders and their followers. They need to understand that stress can impact their ability to take organizational decisions. Yes, the sayings and opinions of authors are agreeable as it can be seen in the practical life that changes in the personalities and attitudes of millennials towards work may force them to reconsider of five mostly use leadership theories. It is very important to understand the leadership conditions and how the research of leadership must develop to deal with the changing workforce (Thompson & Gregory, 2012). From this article, it has been learned that leadership style should be altered by looking at changing workforce and situations. As a leader, this learning will be implemented to lead the followers effectively by using democratic leadership practices (Woods, 2004). At my workplace, I will give the opportunities to all the millenials to use their knowledge in decision making process as they have a growing mind. As a follower, I will be actively participating in the decision making process. It will help both leaders and followers to enhance practical leadership in the workplace (Northouse, 2017). The sayings of this article are also right at some place as leaders need to very smart and mindful to take significant decisions of company. I have learned so many important things from this article that can be used by me in handling some typical situations like effective management of highly diversified teams. In this situation, I can handle the situation by using Leader-Member Exchange Theory that defines that how the group leaders maintain their state via different agreements with members. At my workplace, the team can be divided in both role taking and role making divisions by identifying their mindfulness and tenure. It will help in balancing the power and talent for the benefits of organization (Hopen, 2010). In the limelight of above report, it can be concluded that leadership is very important factor in the growth and success of an organization. The leaders need to identify the situations and adopt the most suitable leadership styles as per their attitudes and mindsets. The above paper critically analyzes both the articles in context of leadership performance. It is identified that there is a difference in the leadership styles of millennial generation and older people. They prefer to earn more money without spending time on other activities. Moreover, another article stated that mindfulness is the most significant factor in improving leadership performance. 1. Anderson, HJ, Baur, JE, Griffith, JA & Buckley, MR (2017). What works for you may not work for (Gen) Me: Limitations of present leadership theories for the new generation, The Leadership Quarterly, 28 (1) 245–260. 2. Chou, SY (2012) Millennials in the workplace: A conceptual analysis of millennials’ leadership and followership styles. International Journal of Human Resource Studies, 2(2), 71-83. 3. Hopen, D (2010) The changing role and practices of successful leaders. The Journal for Quality and Participation, 33(1), 4. 4. King, E & Haar, JM (2017). Mindfulness and job performance: a study of Australian leaders', Asia Pacific Journal of Human Resources, 55 (3) 298–319. 5. Leahy, RL (2015). Contemporary cognitive therapy: Theory, research, and practice. US: Guilford Publications. 6. Meichenbaum, D (2017) Teaching thinking: A cognitive-behavioural perspective. In The Evolution of Cognitive Behavior Therapy (pp. 85-104). UK: Routledge. 7. Northouse, P G (2018). Leadership: Theory and practice. US: Sage publications. 8. Northouse, PG (2017) Introduction to leadership: Concepts and practice. US: Sage Publications. 9. Salahuddin, MM (2010) Generational differences impact leadership style and organizational success. Journal of Diversity Project Management, 5(2). 10. Thompson, C & Gregory, JB (2012) Managing Millennials: A framework for improving attraction, motivation, and retention. The Psychologist-Manager Journal, 15(4), 237-246.